American Wholesale Property: OFF MARKET FLIP IN LOVERS LANE EAST! OFF MARKET FLIP IN LOVERS LANE EAST! 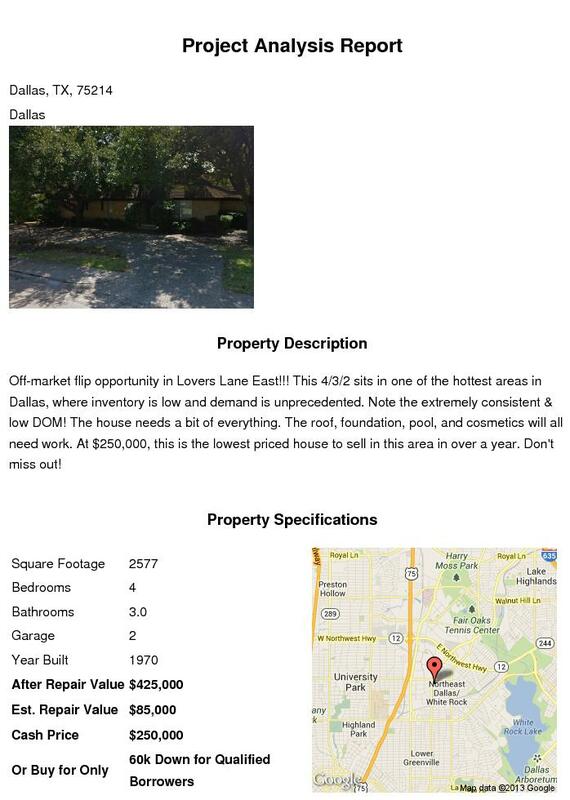 Off-market flip opportunity in Lovers Lane East!!! This 4/3/2 sits in one of the hottest areas in Dallas, where inventory is low and demand is unprecedented. Note the extremely consistent & low DOM! The house needs a bit of everything. The roof, foundation, pool, and cosmetics will all need work. At $250k this is the lowest priced house to sell in this area in over a year. Don't miss this!